We've always had a soft spot for Lanai, the small, sparsely inhabited Hawaiian island that's a quick ferry ride from the east coast of Maui. Many travelers who visit its red-and-orange-sand shores are daytrippers who hungrily reserve the island's limited rental cars far in advance. And they leave the comfort of their Maui resorts for good reason. Breathtaking solitude on its beaches, mysterious rock formations, towering offshore shipwrecks, and stoplight-and-shopping-mall-free roads are just some of its charms. The other side of Lanai, of course, is that it's a bona fide luxury tourism destination, thanks to the presence of not one, but two Four Seasons resorts on the island. These properties are the only branded hotel options if you'd like to stay on the island overnight, and of course, they're not exactly suited for bargain-hunters. That said, one of these properties, the Four Seasons Resort Lanai at Manele Bay, is running a rare promotion right now that offers a fourth night free. That means that rates that normally start at $459 per night actually go down to $344 per night when you book four nights. It's certainly not a vacation for those watching their wallets, with the full stay totaling $1376. But when you consider that many other 3.5- and 4-star beach resorts throughout the Hawaiian islands easily charge similar rates, and don't offer the fascilities, or the level of service that you'd find at a Four Seasons, this is a nice deal. Plus, you also get to stay on Lanai itself. If you can pry yourself away from the resort's breezy porches and ocean views, we recommend booking one of those aforementioned rental cars and heading to the farthest reaches of the island. (Bring water, snacks, and a good map. Many of the roads are dirt or sand, and getting lost - beautiful as the surroundings may be - can set you back hours.) Venture to The Garden of the Gods, a rock formation in the island's interior that glows red at dusk, or to Polihua Beach. 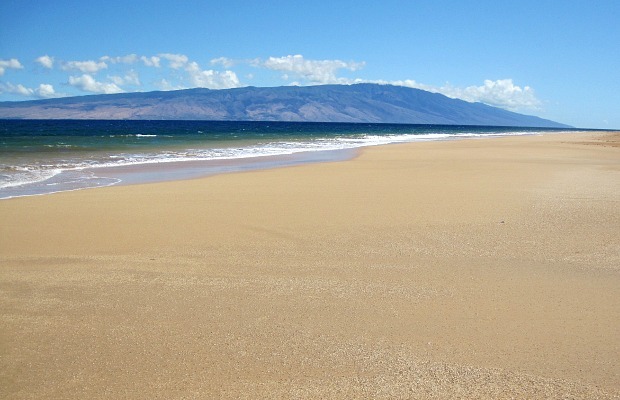 Rough waves mean swimming is prohibited, but the picture-perfect beach offers gleaming sand and breathtaking views of Molokai in the distance. The Four Seasons offer is good for first-time visitors to the property, and it's based on availability. You can book by visiting its web site. (The deal comes up automatically when you enter your travel dates and click the red "Find Rooms" button on the homepage.) You can also call the resort at 800-321-4666 to book.